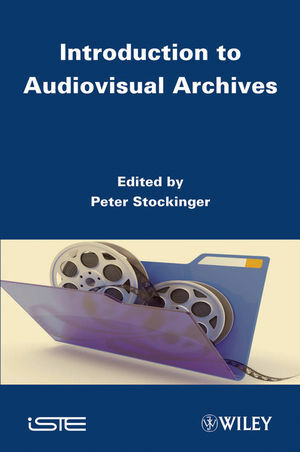 Today, audiovisual archives and libraries have become very popular especially in the field of collecting, preserving and transmitting cultural heritage. However, the data from these archives or libraries – videos, images, sound tracks, etc. – constitute as such only potential cognitive resources for a given public (or "target community"). They have to undergo more or less significant qualitative transformations in order to become user- or community-relevant intellectual goods. These qualitative transformations are performed through a series of concrete operations such as: audiovisual text segmentation, content description and indexing, pragmatic profiling, translation, etc. These and other operations constitute what we call the semiotic turn in dealing with digital (audiovisual) texts, corpora of texts or even entire (audiovisual) archives and libraries. They demonstrate practically and theoretically the well-known "from data to meta-data" or "from (simple) information to (relevant) knowledge" problem – a problem that obviously directly influences the effective use, the social impact and relevancy and therefore also the future of digital knowledge archives. Peter Stockinger is Full Professor at the National Institute of Oriental Languages and Civilisations (INALCO) in Paris and also Research Director of ESCoM (Cognitive Semiotics and New Media Research Lab) of the Fondation Maison des Sciences de l’Homme (FMSH) in Paris, France.